Dennis and Leslie McKay make up the husband and wife duo of McKay Project. Together, they have a story of hope and second chances. They have a real desire to share Jesus and let people know that God loves them and He never gives up on us. On stage they weave a blend of live acoustic music and harmony with Dennis on guitar and Leslie on bass. McKay Project brings a mix of blues and country to southern gospel music while staying true to the traditional style that so many have come to love. Dennis is originally from Vernon, Alabama and grew up in a multi-talented musical family. He began playing the guitar when he was 11 years old and soon found himself on stage performing with his family group, The McKay Family. He traveled all over the country for several years performing southern gospel music while his father, Robert McKay, preached and shared Jesus. Leslie is originally from Damascus, Arkansas and grew up singing in church while her father lead music and her mother played piano. She began learning piano at the age of 7 and later added vocal training that continued throughout college. Leslie spent 3 years with the Williams Singers of Williams Baptist College traveling to various churches in the southeast ministering through music. She has since added bass to her list of talents. 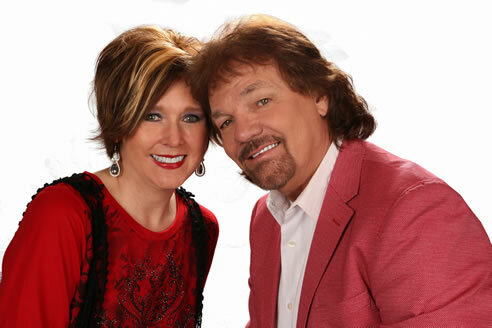 Shortly after Dennis and Leslie began their lives together as husband and wife, the Lord began drawing them into music ministry. McKay Project was formed and in 2012 they released their first self-titled project, McKay Project under the M.A.C. Records label. In 2013, McKay Project released their original single, Barstool to a Church Pew through the Millennium Music Group, and it went to #44 on the CVM Country Gospel chart. They also released another original song, Daddy, The Preacher Man, which stayed in the CVM Country Gospel charts for several months. 2014 marked the release of their second project called In Step which is a collection of familiar gospel hymns and originals written by Dennis and Leslie. Also, in 2014 they were nominated for the CVM Duo of the Year and International Country Gospel Music Association (ICGMA) Duo of the Year. In 2015, they were again among the Top 5 nominees in the ICGMA category for Duo of the Year as well as Band of the Year. Dennis was among the Top 10 nominees for the ICGMA Producer of the Year for projects produced in their studio (Studio 115A) in Columbus, MS. In August of 2016, McKay Project received the honor of being named 2016 ICGMA Duo of the Year! They were also nominated in several other categories such as Band of the Year and Group of the Year. 2017 started off with excitement as McKay Project released their third project entitled McKay Project 3 on Valentines Day. They were recently awarded the 2017 ICGMA Crossover Artist of the Year and Dennis was awarded the 2017 ICGMA Instrumentalist of the Year. God continues to bless their ministry as they travel around the country sharing their music and testimonies about Gods love, forgiveness, and restoration.